In a world, where women are put to shame every other day. 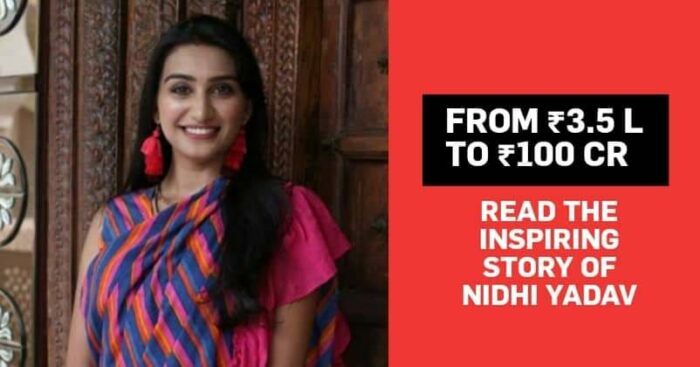 Nidhi Yadav, a 25-year-old “woman” entrepreneur who is also a mother to a seven-month-old baby is on a flight to make the entire clothing industry proud. 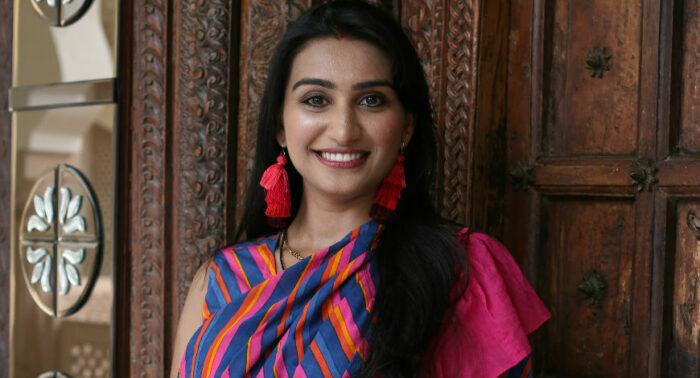 Nidhi Yadav, born and brought up in Indore, is the founder of AKS Clothings. She was a computer graduate who worked in Deloitte for one and a half years before realizing what she really wanted to do. While watching Meryl Streep’s 2006 blockbuster film “The Devil Wears Prada”, Nidhi decided to work in fashion. After this incident, Nidhi enrolled for a one-year course in Fashion Buying and Merchandising at the Polimoda Fashion School in Florence, Italy. Although she got a job in an Italian fashion brand Emilio Pucci, she returned back to India. It all began in Gurugram. After working for a local fashion brand in Gurugram she returned back to Indore and got married there. She soon became a mother and clearly told her husband that even before their wedding she didn’t want to do a 9-to-5 job. Nidhi’s husband Satpal Yadav encouraged her to work from home as it gave her more liberty. Thanks to her Italy education which helped her a lot. “I was not a fashion designer, but I knew what will sell. Although my family was shocked at first when I told them about starting up, they went on to support me,” she recollects. Nidhi did research on the International fashion brand, Zara, to prepare herself. She felt that there was a huge gap in the ethnic wear for women at that time. In May 2014, Nidhi launched AKS Clothings with a seed capital of ₹3.5 lakh. When she launched it, she ensured that it will roll out 15-20 new styles every two weeks. Currently, they have 150 styles per month with a customer repeat rate of 35 percent. “I used to go for every photo shoot and try on every sample before production. We did the cataloging, designing and sourcing ourselves. Our warehouse was our home,” Nidhi recounts. In 2014, AKS generated ₹1.60 crore in revenue, which climbed to ₹8.50 crore the following year. This year, Nidhi claims that AKS has an annual run rate of ₹100 crore in the gross avenue. Today the brand is available on Flipkart, Jabong (where her husband works), Myntra and AKS’s own website. Such was the story of Nidhi Yadav, the entrepreneur who broke all the stereotype rules to succeed and make an impact on others life. Nidhi is an inspiration to all the other women you are at home seeking opportunities to create an impact.